The African Export-Import Bank (Afreximbank) has signed a $170 million facility to Egypt-based conglomerate, Orascom Investment Holding (OIH), to assist the company expand its pan-African activities. The President of Afreximbank, Prof. Benedict Oramah, said that the facility would boost OIH’s short and medium-term expansion strategy. According to Oramah, the facility agreement is part of the bank’s effort to promote intra-African investments and export manufacturing using the framework of its Intra-African Investment Finance Facility. “The transaction is a significant opportunity for OIH’s targeted investments in companies across Africa to support their transformation, increase their production capacity and produce higher quality exports. “This will be done through better value addition, especially in the agro-processing sector and the agreement will set up a long-term strategic partnership between OIH and Afreximbank. “The facility will complement ongoing macroeconomic and safety net reforms in Egypt which seek to foster sector-specific economic growth, especially in strategic sectors with proven record of creating jobs and reducing poverty,” a statement signed by the bank’s Head of Media, Mr. Obi Emekekwue, on Friday quoted Oramah as saying. According to the statement, Orascom is one of the most successful and diverse holding companies in the North Africa region with the potential of assisting the bank in expanding its operations in the regional and Egyptian markets. “Our collaboration opens the potential for our two institutions to strengthen their relationship and mutual cooperation in order to make significant contributions towards unlocking the full potential of intra-African investment,’’ Oramah added. In his remarks, the Chairman of OIH, Naguib Sawiris, said the company was focused at investing in Africa and that the continent would only achieve progress with improved intra-African trade and investment. Sawiris said it was up to the Africans to come together to ensure improved intra-African trade and investment. 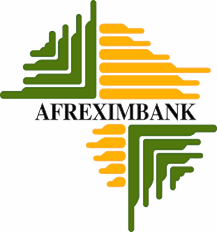 He commended Afreximbank for the quick turnaround in processing the transaction and for the professionalism and dedication shown by the Afreximbank team. He assured that Orascom Investment will explore business and investment opportunities referred to it by Afreximbank in Rwanda, Togo, Eretria, Nigeria and Sao Tome.